Household items beautifying you in more ways than one! 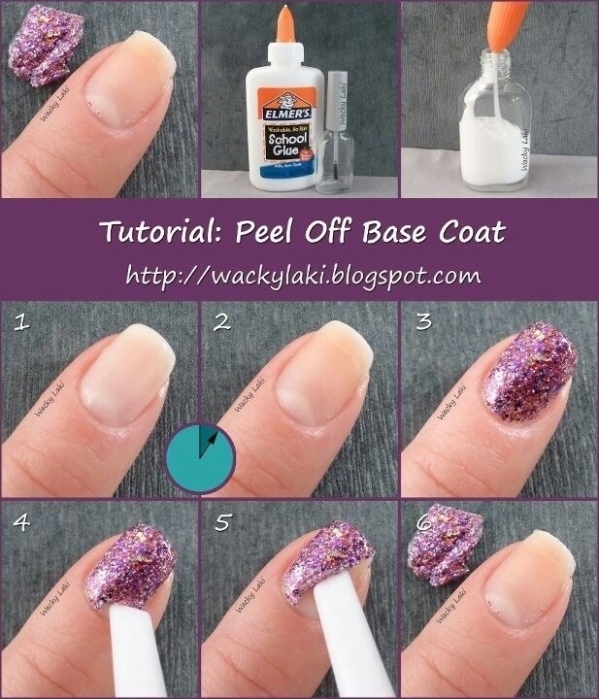 Check out the amazing beauty hacks! While spring cleaning was on, most of us made the mistake of doing one thing- throwing away stuff we thought we wouldn’t want to use, ever. Not that we are asking you to hoard and clutter around the house; after reading this post, you would wish that the coffee filter paper or that extra scotch tape wasn’t thrown away- here’s why- they help beautify you! Yes, you read that right. Here are ten household items that can help you beautify like a pro. Read on! 1. Transparent tape: We love doing eye makeup, but often have to deal with fall-outs from the debris of the eye shadow under the lower eyelid. Wiping it off with a fan brush or a foundation brush, messes the look for sure, which is why we need transparent tape to remove the glitter remnants. Gently place the tape under the eye over the fallout, and remove instantly. Reapply foundation under the eye and blend with the brush- your look is complete. 2. 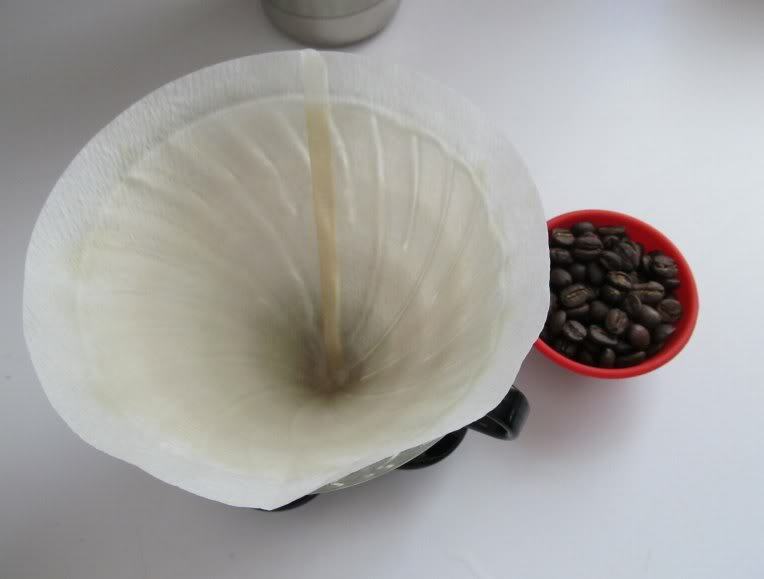 Coffee filter: If you have run out of blotting papers, don’t worry! Coffee filter papers work their magic, as much as blotting papers would- the ingredient composition is almost the same, so who needs blotting papers anyways. Use the coffee filter papers to blot the shine away from the T-zone once your makeup is done, and voila you have a flawless look to flaunt. 3. Tape for winged liner: How often have you messed up the winged eyeliner, especially on a Monday morning when you were hurrying off to work? Sounds familiar? Across the web, you would hear of many PYTs using tape to help straighten the edges and wing it too- best for those with shaky hands and yet would like various liner applications to flaunt- winged eyes with a tape, easy and fast. 4. 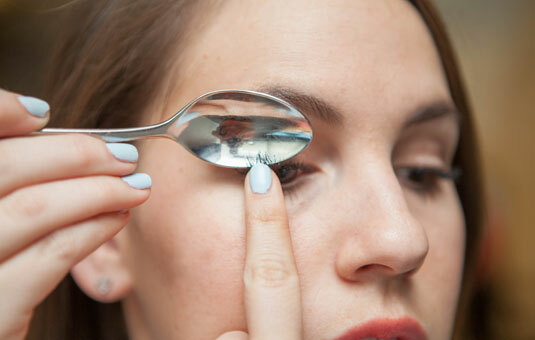 Metal Spoon: We often pinch our eyelids using a professional eyelash curler to bring about a curled twist to our lashes, and painful would be the aftermath. Stop doing that to yourself, and use a warmed up (not hot) spoon to give your lashes that much needed curls. Dab on the lashes the warm spoon edge, and with your thumb curl the hair. Wait for five seconds and repeat if need be. 5. Exfoliate with a toothbrush: You don’t have to spend a bomb on an exfoliating brush anymore, not when the humble old toothbrush in the washroom can do the job like a pro. Once the face pack dries off on the skin; the toothbrush can be dipped into cold water and gently massaged on the pack in circular motions. Repeat with the toothbrush moves on the clear skin, especially around the nose and the under eyes in gentle motions to remove blackheads and dead skin cells. 6. 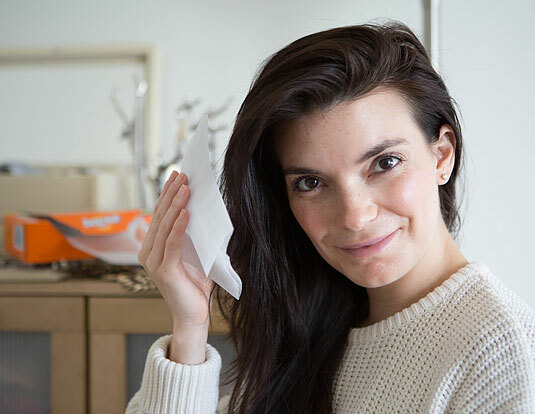 Dryer Sheets: Static hair woes shouldn’t woe you down anymore! With the help of a dryer sheet, you now can have soft bouncy hair after the hair dryer does its job. Rub the dryer sheet across the surface of the hair and this would eliminate the static electricity within. Your hair falls to rest and you wouldn’t look as though you just got hit by lightening. 7. 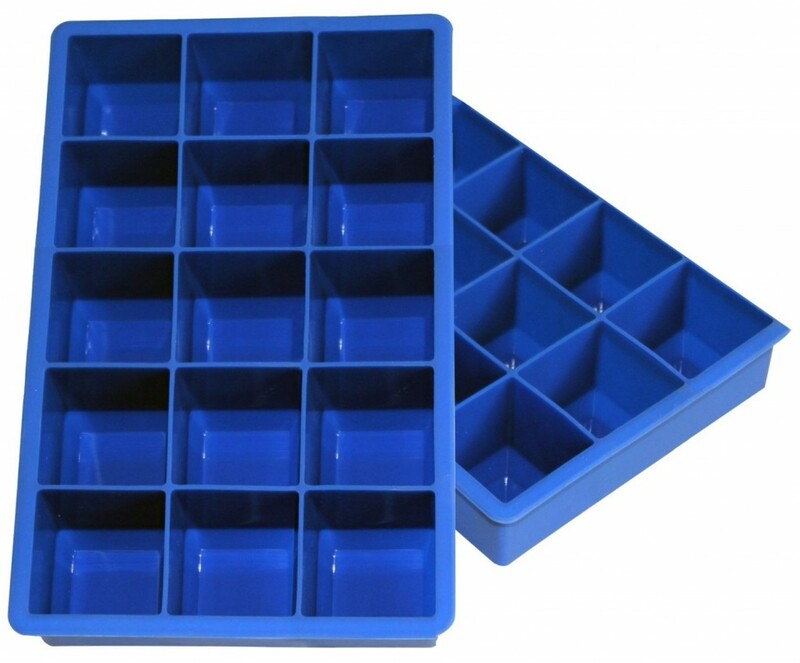 An ice tray: You don’t need to have a professional lip palette to use when blending two lip colors to form a hue, and the same goes with foundation blending too- use an old ice tray for the same to achieve the shade you want! 8. 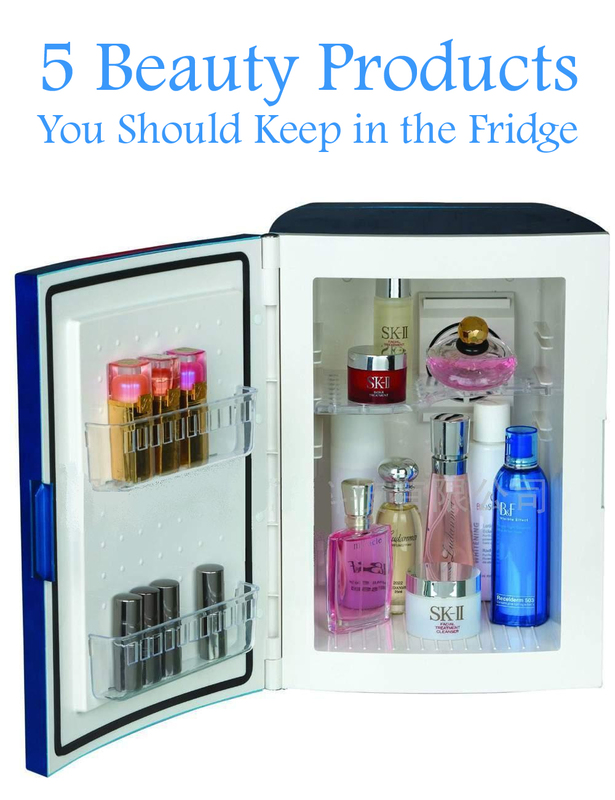 Storing cosmetics in fridge: You can store your precious creamy creams and cosmetics in the fridge, and the astringents or toners too, which helps cool the products down and doubles up as a de-puff method when the cosmetic so cool is applied to the skin- try it! 9. 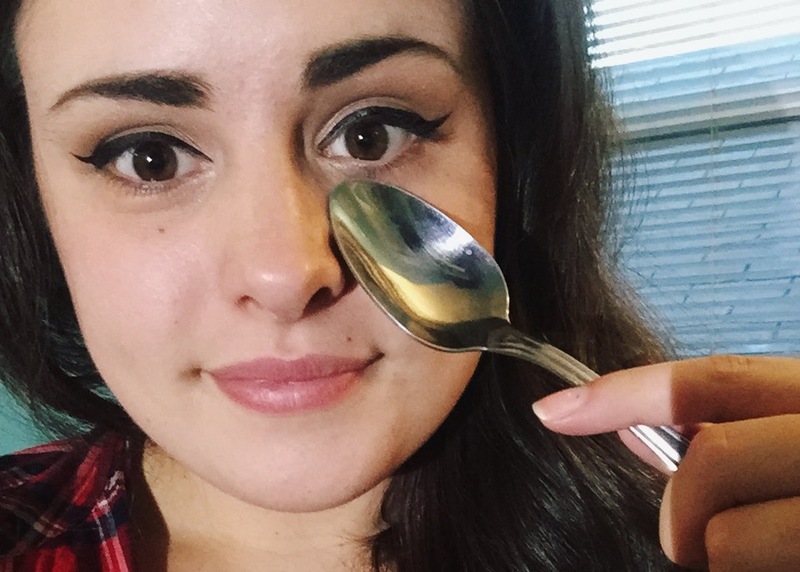 Spoons: Place a metal spoon in the fridge for a couple of minutes and then touch the under eyes with the same, which helps combat puffy eye issues in a jiffy. 10. Rubber bands: Fancy doing your own French manicure at home, but fail at getting that nail tip straight line? 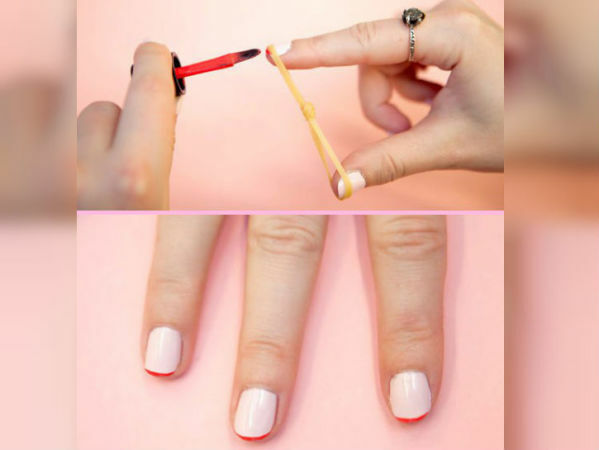 Use rubber bands on the nail tip and draw that white line to create an illusion of longer nails! Do let us know which of these hacks you’ve tried and which secret ones you would like to share?